Oh dear, I see I have not blogged about pizza in a very long time! Not to say we haven’t eaten it. We’ve been back to Hearth and Table where we learned our lesson and only ordered a regular sized pie. We’ve caved to convenience and had Papa Murphy’s which, as Ric says, is not pizza but it’s good. We are not eating it weekly, however. It’s just such a darn heavy dish in the U.S! Proposal Rock guards the entrance to Hawk Creek. The vast Pacific stretches beyond. 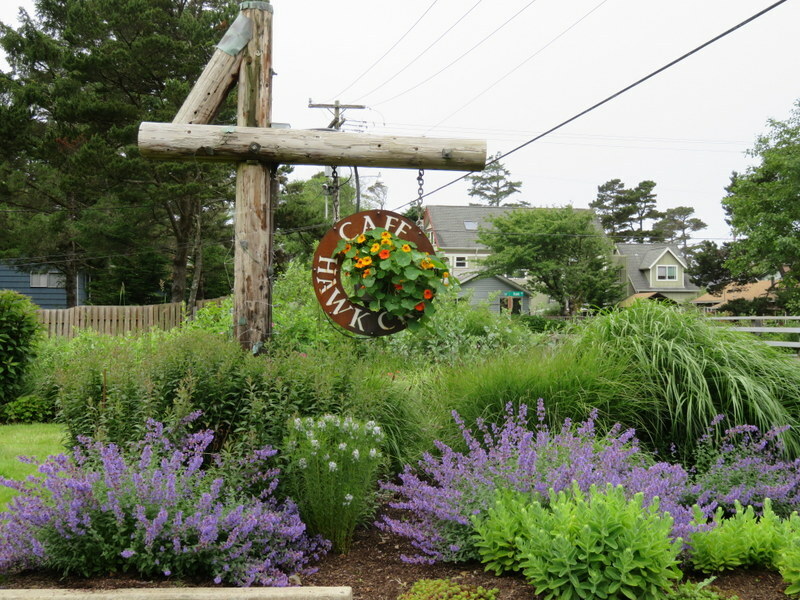 We did enhance our experience at the Cafe on Hawk Creek (see prior post here) with a pre-pizza walk on the beach. 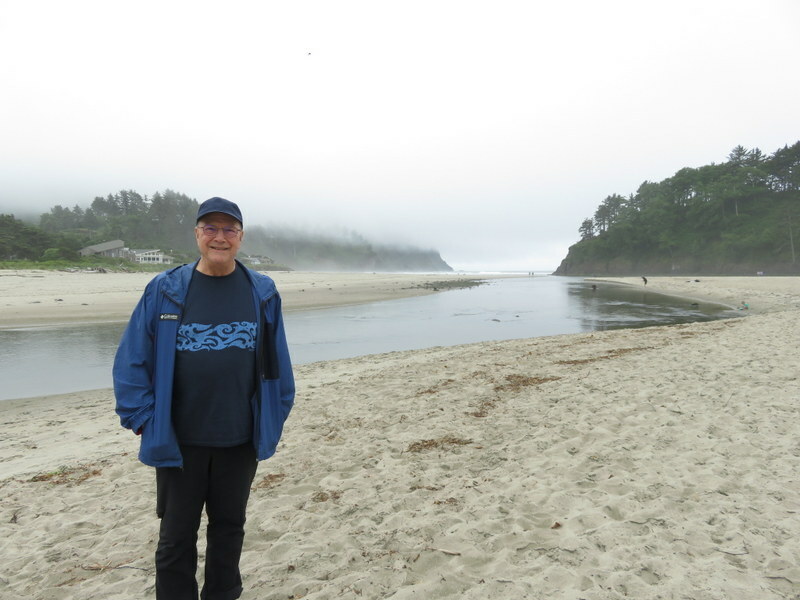 For those not acquainted with the Oregon Coast, the “beach” is not the same animal you find in say California or Florida. Sure, there is sand, but the water is cold and even going barefoot is to risk hypothermia in June. We chose Tuesday as our off-day from going to the gym. 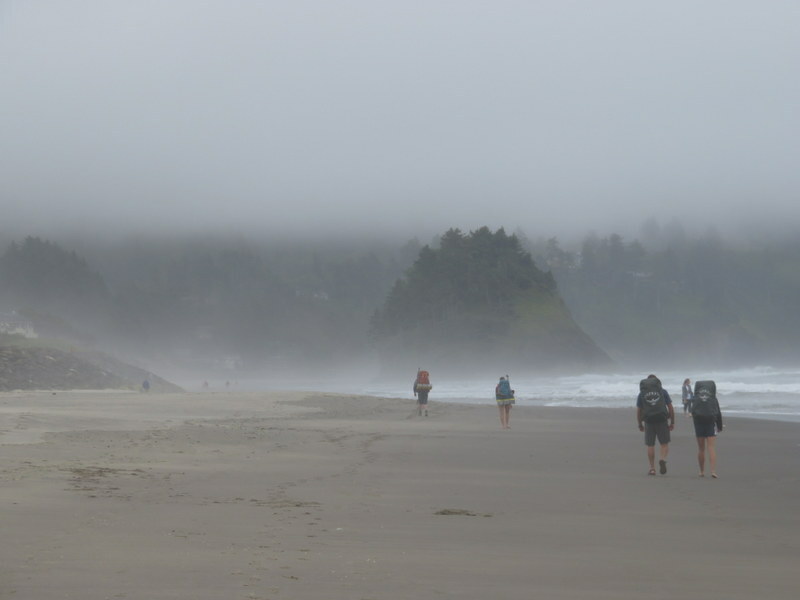 Warm temperatures inland caused fog to hug the coastline, but that did not deter early-in-the-season vacationers. Kids still played in the sand and couple walked dogs. The weather was dry (that is, no rain) and moderate, in the low 60s. Perfect for not working up a sweat but getting in a good aerobic walk. Nothing like working off the pizza before you eat it. 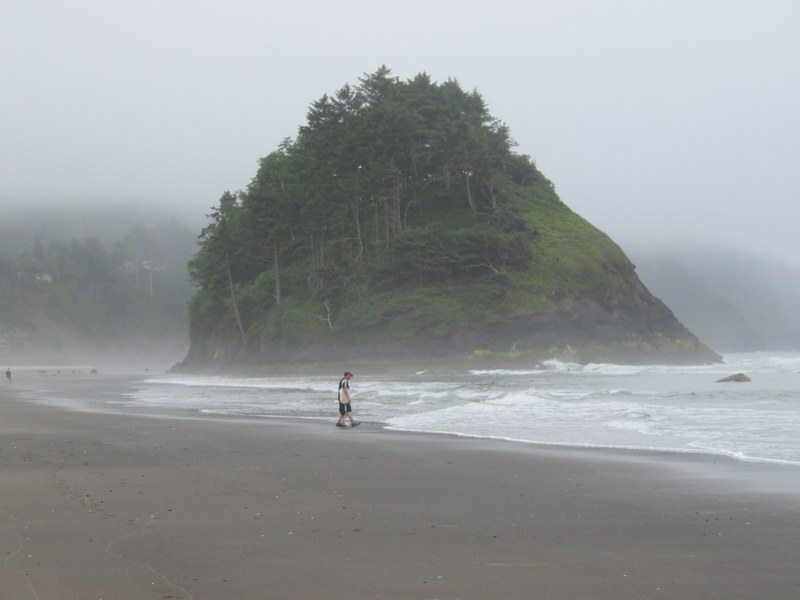 A lone hiker heads north into the fog on the beach at Neskowin. 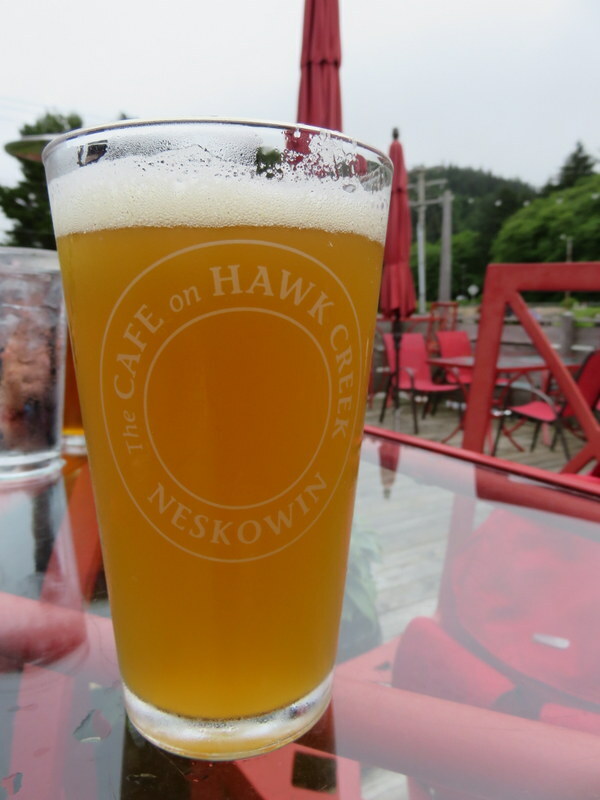 You can walk 4 miles north from Hawk Creek before you are forced inland. 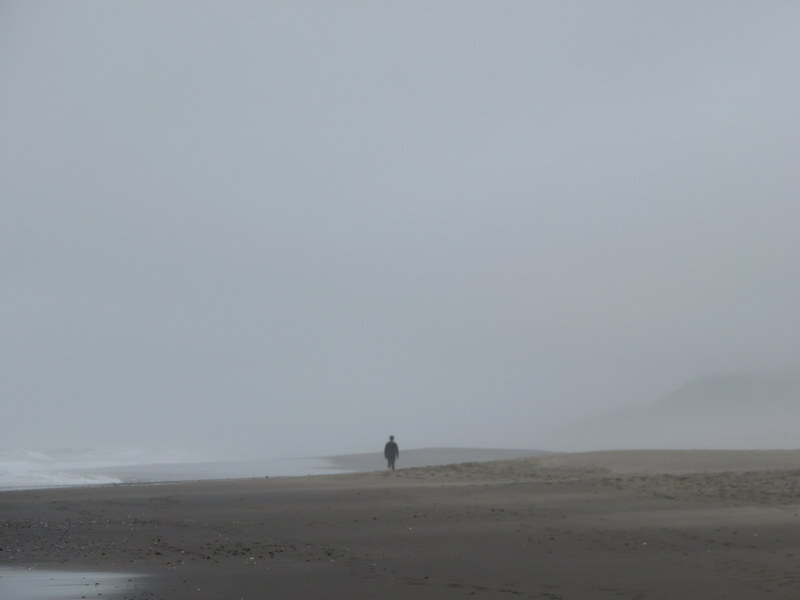 Oregonians are not deterred by fog on the beach. My hiking buddy along the creek. 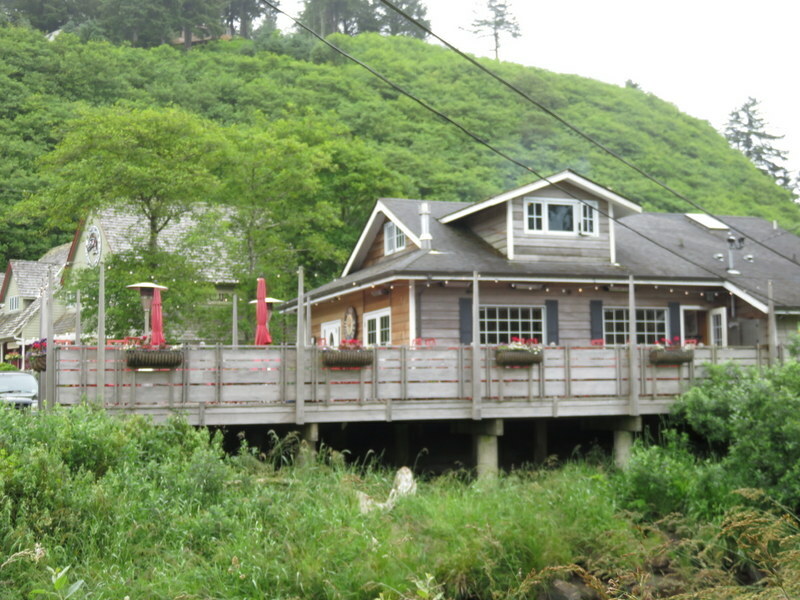 View of the Cafe from across the creek. Since we were able to eat on the lovely deck, I can push this rating to a rare OWP “10,” a bonus point for seasonal ambiance. So we combined our love of hiking with our love of pizza. Not a bad thing on a Tuesday in June. Beats working. 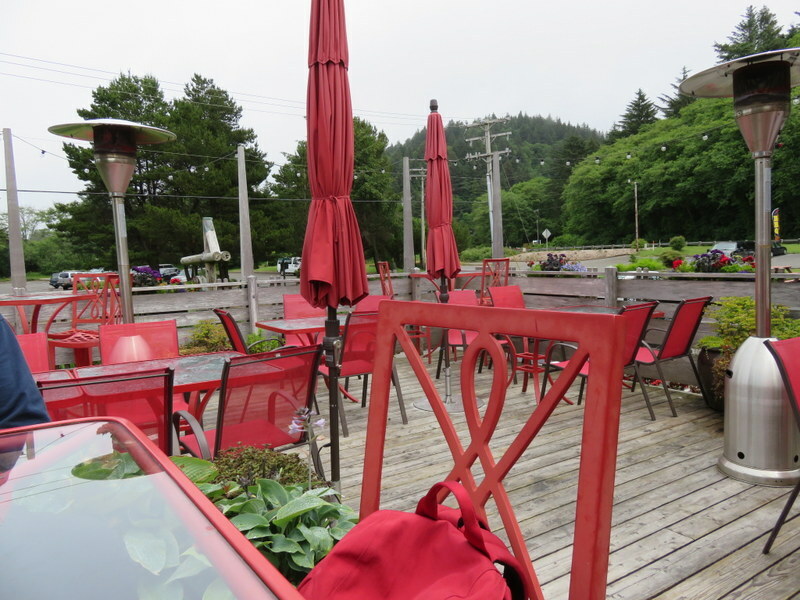 Not a lot of outdoor diners today. For me, a Widmer Hefeweizen. Summer in a glass. 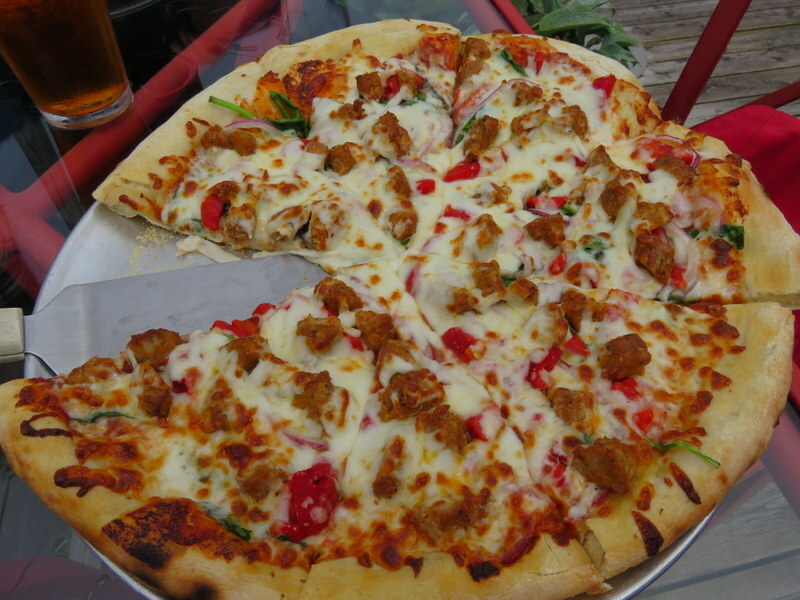 A simple pie of Italian sausage, roasted red peppers, onions, and spinach. Practically health food. Well it is the most perfect food: dairy, protein, vegetables, grains! Lovely cafe! The pizza sounds like “health food” to me! Thanks, Carolyn! Haven’t had enough subject matter lately, I guess. Miss you! Come out and see us and we’ll take you for pizza! Definitely a nice sounding Tuesday to me – hiking AND Pizza! I’ve been missing your blogs and was beginning to wonder if I had been dropped from the list!!! !